Karen Asaro has been providing mediation services since 1980. She is a member of the Association of Family and Conciliation Courts, an Advanced Practitioner member of the Association for Conflict Resolution and a member of the Section on Dispute Resolution, American Bar Association. She is a General, Circuit Family and Circuit Civil mediator, certified by the Supreme Court of Virginia. Additionally, she has been trained as a child dependency mediator and currently mediates child dependency cases for the court. Karen serves on a number of dispute resolution panels including the United States Postal Service Redress Program, Keybridge Foundation ADA Mediation Program,Virginia State Employee Mediation Program, Virginia Special Education Mediation Program and Virginia State Bar Fee Dispute Resolution Program. She has experience in ADR program design, including the City of Virginia Beach employee mediation program and the Virginia Beach Police Department Mediation and Citizen Complaint Program. Additionally, Karen has provided mediation services in elder care issues. She served as an adjunct professor at Christopher Newport University, where she taught both general and family mediation courses for 10 years. Karen served on the founding Board of Virginia Mediation Network and the Virginia Chapter of Association for Conflict Resolution where she was the Chapter's first president. 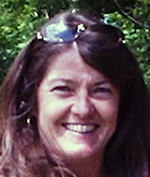 Karen currently is a Board member of Virginia Mediation Network.